(Newser) – Taiwan is confirming it has the first case of H7N9 bird flu outside of mainland China, reports the AFP. The 53-year-old male victim recently returned from a trip to China via Shanghai, where H7N9 first broke out. He's been hospitalized since April 16 in critical condition. 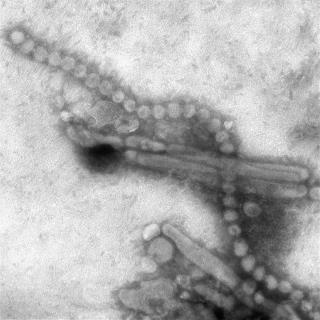 The spread comes amid new reports that H7N9 is worse than its predecessor, H5N1, which has killed more than 360 worldwide over the past decade. The World Health Organization says H7N9 is more easily transmitted between birds and humans, the AP reports. Outside of China? Taiwan is the Chinese suburbs. The Chinese govt must love this headline. This is such a non issue only 371 people have died of bird flu since 2003 worldwide no think how statistically insignificant that number is when you have 7 billion people 1 billion of them in China alone. Every year they make this big deal and more people are filled in traffic accidents in one day than what have died of bird flu in a decade. The world loses 55 million people a year through death from all causes this bird flu stuff is so overblown regular influenza kills infinately more people in just one year.